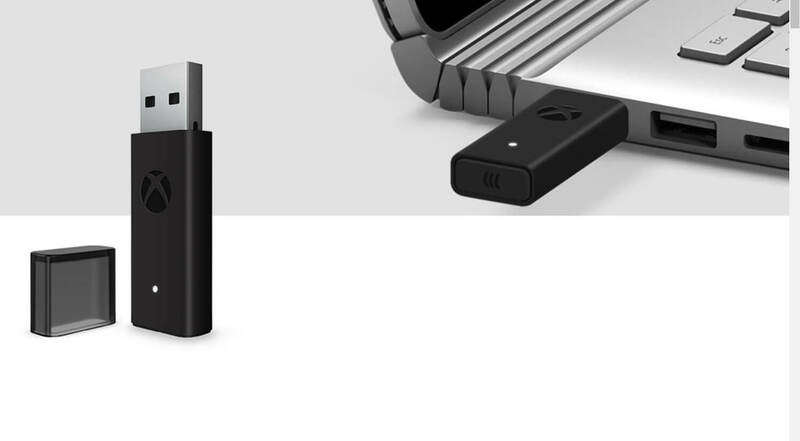 Back in October 2015, Microsoft released a wireless dongle that allowed PC gamers to use an Xbox One controller without being tethered to their rigs. Many welcomed the adapter, but it wasn’t the most discreet of devices and could get in the way of other USB sticks. Now, the Redmond firm has announced an all-new Wireless Adapter for Windows 10, one that’s 66 percent smaller than its predecessor. Resembling a USB flash drive complete with helpful cap, the new model will be available from August 8th and cost $24.99. You can pre-order it now from Microsoft’s site, where it can also be bundled with a standard black Xbox One controller for $79.99. Like the original version, the adapter only works with Xbox One controllers – meaning it’s not compatible with Xbox 360. It can connect up to eight controllers at once, along with four chat headsets and two stereo headsets, and features an LED indicator. If you’re looking for a snazzy new wireless Xbox One controller to go with the updated adapter, Microsoft has you covered. 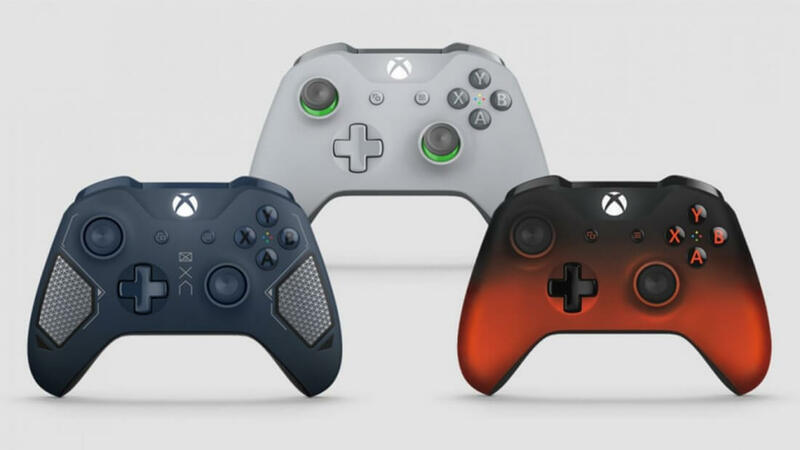 It’s releasing three new controller designs: Green/Grey, Patrol Tech Special Edition, and Volcano Shadow Special Edition. The first and cheapest of these, Green/Grey, is fairly self-descriptive. It’s quite understated and features a nice two-tone design. It will be available on August 3 for $64.99. The Volcano Shadow Special Edition is the latest in the Shadow Series line that Microsoft introduced last year. It features “a matte black top case and sides that fade to a fiery red metallic finish,” as well as a glossy black finish with red highlights on the buttons, triggers, and D-pad. It will cost $69.99 when released on August 3. The final design – the Patrol Tech Special Edition – is, according to Microsoft, inspired by military tech and patterns. It features laser etched texture, silver accents, and insignia, along with a rubberized diamond grip on the rear. This controller is arriving a bit later than the others – September 5 – and will also cost $69.99. The newer xbox controllers also use bluetooth. I haven't tried it yet but is just adaptor just for people without bluetooth or do they not work as well as I assumed they would. Good. I have an adapter and it covers another of my precious few USB slots when plugged in because it's so wide. I might get one of these as both of my wireless 360 controllers are starting to suffer from left stick drift. Also that adapter would fit nicely into my mouse pads usb slot making it fit flush to my desk. $69 is ridiculous. Easier to just use the wire. Jeez! For that price I can get 2 Logitech Rumblepad wireless controllers. I can't stand any of those controller anyway, they're very awkward and unnatural for me to use. There's this thing called a cord (or cable, wire?)... best and timeless tech thing. Do you have the Rumblepad? If so how does it compare to PS3/4? I have the old xb1 dongle and controller(I didn't customize so I paid $45). I like the controller but I had both prior consoles so I am biased. You do realize that it said that it wont work for 360 controllers. Obviously... I did mention I need new controllers due to my 360 controllers having left stick drift. Yes, I have the wireless Rumblepad which I've had for yonks now, and the 360 controller. I don't like using either but I'm forced to use one when flying around in GTA 5, it's just about impossible with the mouse & kbd. Of the two, my choice is the Rumblepad.